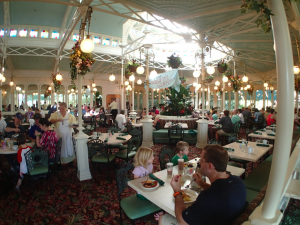 There are big changes coming to the Disney Dining Plan in 2018. Beginning in January, the Dining Plan will include entitlements for specialty drinks and … drum roll please … alcoholic beverages. Will you now get a mimosa with your character breakfast? As in previous years, there will be three versions of the Dining Plan: Quick Service Plan (QS), Standard Disney Dining Plan (DDP), Deluxe Disney Dining Plan (Deluxe DDP). With all versions of the plan, guests under age 21 may choose one non-alcoholic beverage (including specialty beverages where offered). Guests over 21 may choose either one single serving non-alcoholic beverage (including specialty beverages where offered) or one single serving beer, wine, or cocktail (where offered) within their meal entitlement. Examples of single serving non-alcoholic beverages include artisanal milkshakes, fresh smoothies, premium hot chocolates, and the standard soda, coffee, or tea. Examples of single serving alcoholic beverages include beer, hard cider, wine, sangria, mixed drinks, and specialty cocktails. Disney notes that most beer, wine and mixed drink beverages are included, but some exceptions apply. 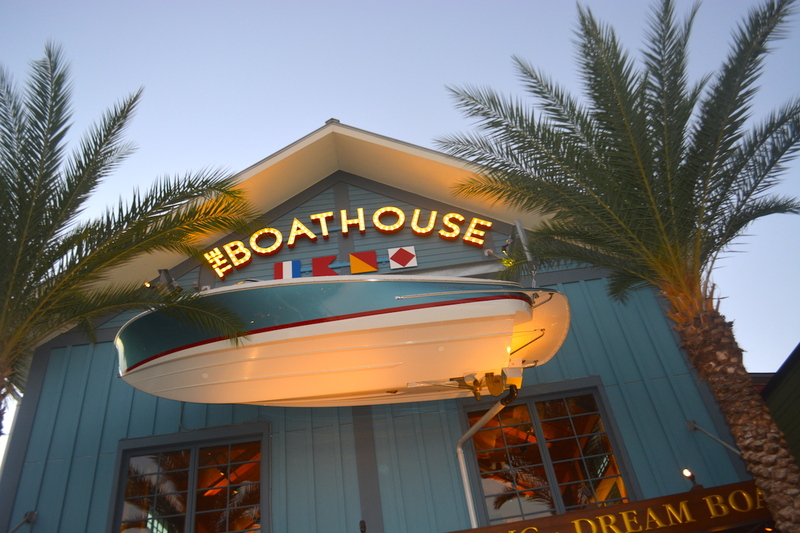 Not surprisingly, guests must be age 21 and over and present valid ID to be served alcohol. Alcoholic beverages may only be redeemed with quick-service or table-service meal entitlements. This means that you won’t be able to make a margarita your snack; you have to get it with a meal. The addition of alcohol is most cost effective for guests using the Quick Service plan. With only a $4.30 price increase, this means that if you typically buy one alcoholic beverage with your QS Plan, then you’re saving money over the typical cost of $6-8 for beer or wine, or more for mixed or specialty alcoholic drinks. Deluxe Plan purchasers will effectively be paying $9.56 for the same drink, much closer to, and possibly over the list price of the beverage. We’re anxious to see details of how the plan will be implemented, and we’re sure there will be some hiccups in the initial weeks of service as food service cast members and guests both become acclimated to the rules (and the exceptions to the rules) of this new Dining Plan configuration. Will teetotalers now be less inclined to purchase the plan? Will calorie conscious guests now be less inclined to purchase the plan? Will service times slow down as more guests need bar items? Will the quick service venues in the Magic Kingdom begin to serve alcohol? How much will Disney try to upsell second alcoholic drinks? Does Disney think that if guests consume more alcohol, they’ll loosen their purse strings and spend more on souvenirs or other items? Will international guests purchasing the plan understand that they’re increasing their cost for gratuities? Will more guests want breakfast cocktails? Will more guests be consuming more alcohol overall, changing the general mood in the parks? We won’t know the answers to many of these questions until next year, but we’re sure there will be much speculation in the meantime. What issues does this new Dining Plan configuration raise for you? Let us know in the comments below. There’s a huge chasm between what’s considered a Disney ‘adult’, and legal drinking age. Are guests ages 10-20 taking the hit here? Can mom order her teenager’s drink entitlement for herself (and use a snack credit to get them a soda) along with her own? THIS is a great question. By the letter of the rules, I would think that obviously no you can not do that. But hey, if I’m paying for it then I should be entitled to get it. But I would assume Disney will link the plan on each person’s account to their age, thus blocking those under 21 from getting alcohol. Though that’s not confirmed. I have zero inside knowledge, but my guess is that they’ll only allow the number of alcohol allotments per credit as there are real adult (over 21) guests in the party. However, there will then surely be people who mis-age their older kids on the reservation just to get more alcohol credits. I was wondering the same thing for those under 21 but 10 years or older. The hike in price for them is, for what? The DDP was such a good deal when it first came out but the prices have increased so much. It used to be $37.99 per day for adults! Now, for my family of 4 (all 10 years or older), for a 7 night stay, that is over $2100! We don’t eat that much…. This seems like a terrible waste of money. Does anyone actually buy these plans out-of-pocket anymore? Or are they simply a way to make “Free Dining” seem like a better deal? These plans appeal to those who just don’t want to think about paying any money on vacation. Doesn’t matter to them that they could have saved $2K by paying out of pocket. It’s all fine by be, let everyone vacation the way they want. I’ll continue to pay out of pocket. Just make the food worth what is being charged. Very rare to get a decent price:quality ratio in Disney any more. As one who almost always gets a beer with my meal, this makes the DDP make sense for me for the first time. But I’m a passholder, so until the DDP is available separately from package vacations, I’m still out. I don’t drink and neither does my husband. It is unlikely we will ever purchase the dining plan since we hate feeling like we are being punished by having to pay as much as someone who will be getting more value (ie-using the alcoholic beverage). They really should have it as an option like an add on as an extra entitlement. For example if you add the alcohol package you get an alcohol entitlement each day (like a snack credit). For people that don’t drink and anyone ages 10-20 buying the dining plan is basically helping Disney supplement the cost for the people that do get an alcoholic beverage. Actually, there is value with the Non alcoholic specialty drinks which often cost about the same as the alcoholic drinks. If you actually do the math and don’t just guess at it or make assumptions, you’ll see. I don’t drink but a $10 bump for the Deluxe plan doesn’t seem like the end of the world. Looking back the price has gone up at least $2 per day each year. As others have mentioned, the authors math is a little off since someone with a deluxe plan could get 3 drinks during the day. Quick service 2 drinks a day is $2.15 apiece, Dining plan 2 drinks a day is $3.12 apiece and Deluxe plan 3 drinks a day would be ~$3.19. That’s a pretty good deal no matter which plan you like. You are completely correct. I was assuming one drink per day, but you’re right that it’s one drink per meal. Fixing now. Thank you. In the example of de QS plan, it’s a difference 4,30$ a day (so, as said, 2,15$ per meal), but the alcool is not a extra drink you get for the price, it replace the drink you already have with the dining plan. This is just my opinion . . . but . . .I hate they’ve added this to the Dinning plans. I don’t drink and neither does anyone in my group that goes to Disney. I hate the fact they even sell alcohol at Disney. After having beer spilled on someone in our party and having to explain to the kids why drunk people were acting so “silly”, I will never go back during the Food and Wine Festival. Back when I was growing up, Disney Springs was Pleasure Island. I liked the fact that adults could go and drink and dance and be as stupid as they wanted and spill as many drinks as they wanted and you knew it wasn’t a kid friendly place and not somewhere kids went at night. Now, having alcohol mixed into all the kid friendly areas, before you know it alcohol will be all over Magic Kingdom, really bothers me. I have nothing against people drinking. I just don’t like people being able to do it around the kids in our group when we are on vacation . . . at a kid friendly park. To all the people complaining about this, the plan was going up one way or another in 2018. This just made it more palatable for people who do buy the plan. I personally drink like one glass of wine a year, just cause I can’t stand the taste of alcohol, but you don’t have to get an alcoholic beverage. You could get a fancy non-alcoholic drink you wouldn’t have splurged on otherwise. What I am wondering, do you get 2 drinks per person for the 2 credit meals? Doubtful. It’s not like you get 2 meals or 2 desserts for the 2 credit meals. There might just be one more hidden trap door that we’ll all have to face here. Quoting the article, “one single serving non-alcoholic beverage” will be included as an option. Let’s take a Coke product as the example. Does this mean that on the dining plans, you get 1 glass’s worth, and refills are charged for? For that matter, based on this statement, does it perhaps foreshadow the possibility that when you’re NOT on the dining plan, you may be charged for refills to? I’m not saying that Disney is up to something nefarious in this case. I truly don’t know. But, whether it might have been based on the author’s choice of words or on the release from Disney, I think the question must at least be asked, with hopefully a palatable answer to follow. I understand your concern on this point, and you may be totally right. However, I would assume they put “single serving” in the wording so that people can’t order a double gin and tonic or a “tall” beer on tap. This will hopefully cut down on people over-imbibing by ordering doubles with all their meals. Just my guess. Ok, I just re-read your question and you were only asking about non-alcoholic beverages…sorry! Guess my reply does not really apply. That’s a pretty intolerant and ignorant statement. The normal time to metabolize one drink is one hour. You are going to get one alcoholic drink per meal. Based on the language of the offer, you can’t save your drinks up and drink them all at, say, supper. Most people I know space their meals out by at least an hour, usually much more. So how in the world is 2 (or 3, if you get the higher plan) spaced over the whole day “a dangerous amount of free booze for some people”? Dangerous in what way? The CDC website states, “moderate alcohol consumption is defined as having up to 1 drink per day for women and up to 2 drinks per day for men” and “for women, heavy drinking is typically defined as consuming 8 drinks or more per week.” If a woman is having three drinks a day over the course a week long vacation, the US Centers for Disease Control and Prevention would consider this to be excessive, regardless of whether they are consumed in one sitting. The article you quote is claiming more than 8 drinks a week *all the time* is excessive. Over a week of a Disney vacation, it’s not going to matter. I daresay many people not from the puritanical US would find these “limits” amusing. How this year’s price increase for the DDP compare with previous years? I don’t follow the dining plan all that closely, but it seems like a similar increase to the past with added value this year. I’ll likely take a closer look at the plan going forward. I’m also curious why you site concerns over alcohol consumption, but don’t make mention of the excessive snacks and sugary desserts that the dining plan offers. There are also the resort mugs that people fill up with coffee and sugary and/or caffeinated beverages that probably cause as many health problems as alcohol. Some of your questions seem to suggest you are concerned dining plan changes will lead to more intoxicated guests, but seeing as how that can’t happen from a single drink with a meal I don’t follow the logic of some of your questions/concerns. The bottom line here is that people are getting MORE VALUE for the dining plan than in years past. You seem to have buried the lead! Jaysus, take the board out of your bum.